Welcome to A-Plan, Staines-on-Thames, your nearest branch. 5a Thames Street, Staines, TW18 4SD mile away. 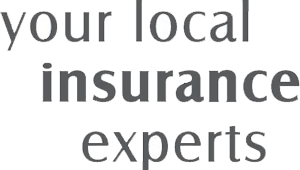 As your local insurance broker, A-Plan Staines-on-Thames has been serving clients in your area since 2011. We have specialist facilities for private car, home & contents and commercial vehicle insurance. We provide car, home, landlords and commercial vehicle insurance. Whether you pop in for a chat or speak to one of our passionate advisors over the telephone, we are here to guide you through your insurance journey. As one of the newer A-Plan branches, we aim to exceed all your expectations by going that extra mile, leaving you with every reason to want to continue our relationship for years to come. With Staines being in the centre of a known flood risk area and an area that flooded as recently as Feb 2014, we have access to Castle non-standard underwriting who are signed up to the government backed FloodRE scheme. This means flood cover can be obtained on properties that are in flood risk areas or have suffered from previous flooding. Your Staines-on-Thames Branch Manager. Get the right cover at a great price! Put our local team to the test to see how we can help you.